Ward Marston is a wizard at tranferring the voices from old records. Careful not to over-engineer, he makes sure that the voices from the dawn of the last century sound as sensuous as possible….I'm always delighted by the rich, warm, scintillating tones that Marston uncovers, even if sometimes he leaves a lot more surface noise in the mix. 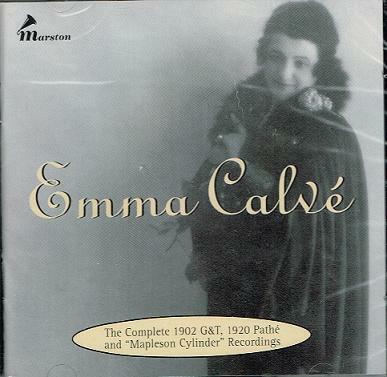 Finally, as an added bonus, Marston gives us fifteen rollicking performances recorded for Thomas Edison by the lively French soprano Cécile Merguillier, a vocal acrobat if ever there was one. Her selection from Meyerbeer's LE PARDON DE PLOEMEL is a showstopper. 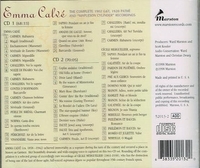 A great duet with Monsieur Gluck ends this marvelous two CD set."